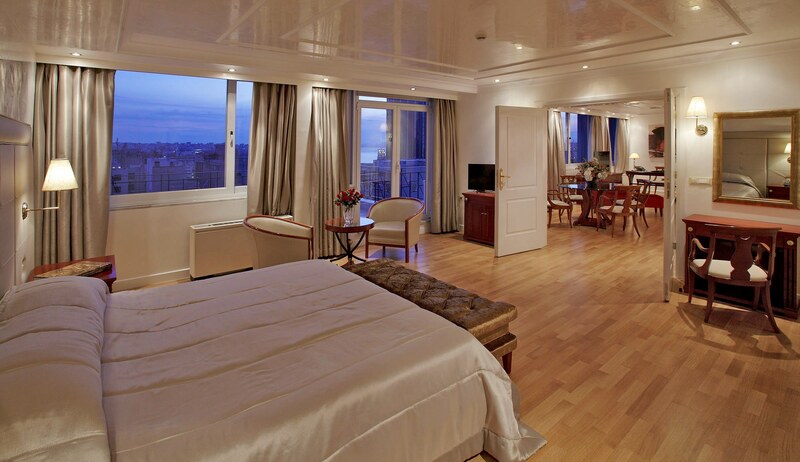 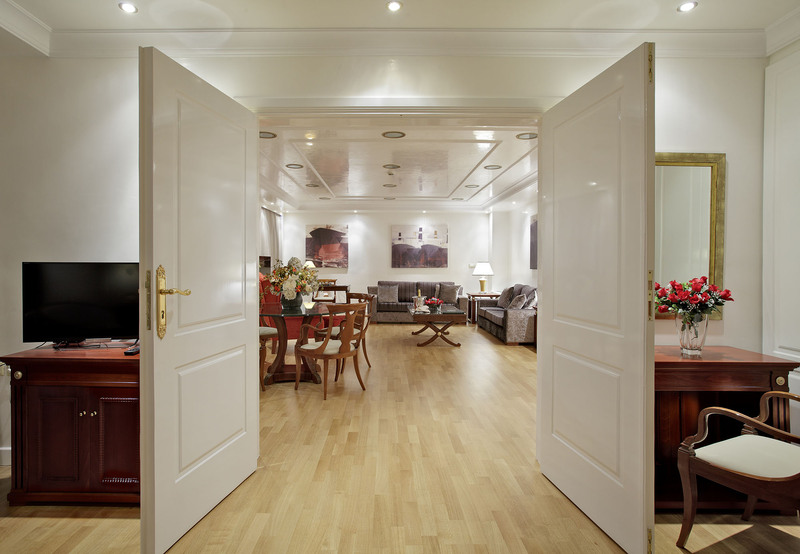 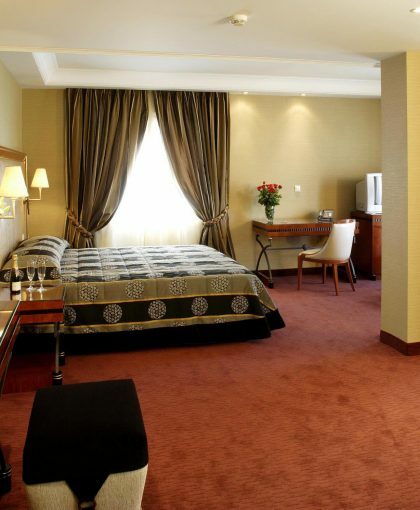 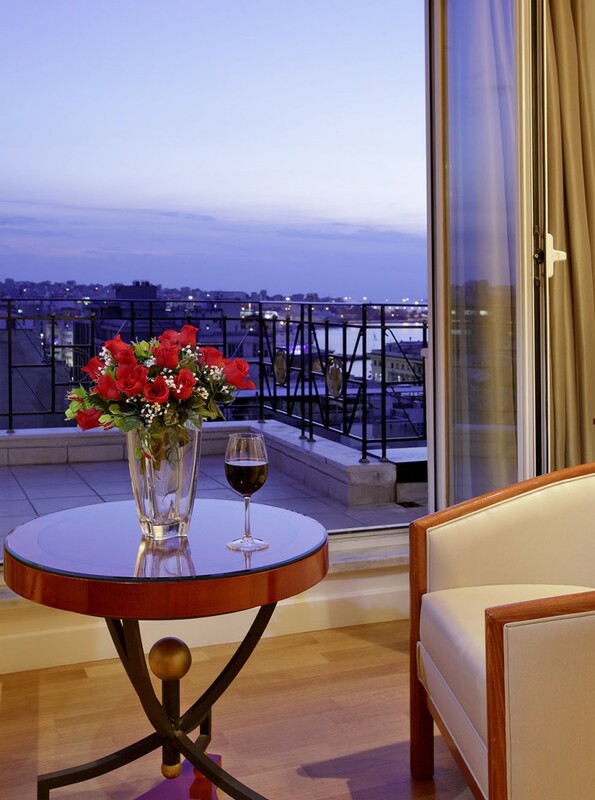 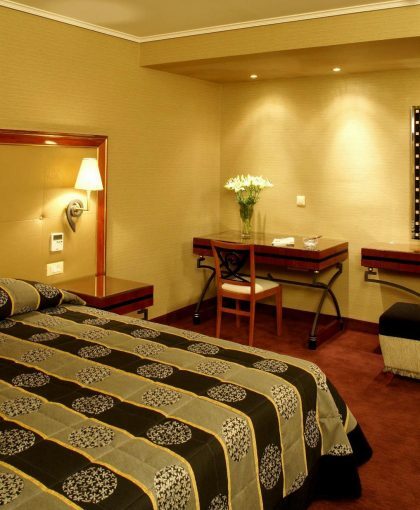 On the top floor of the exclusive 5-star deluxe hotel Piraeus Theoxenia is the 140 sq.meter / 1506 sq.ft. 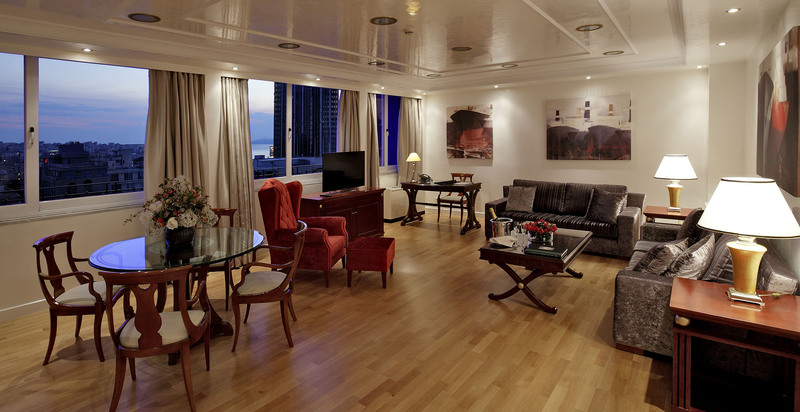 Presidential Suite. 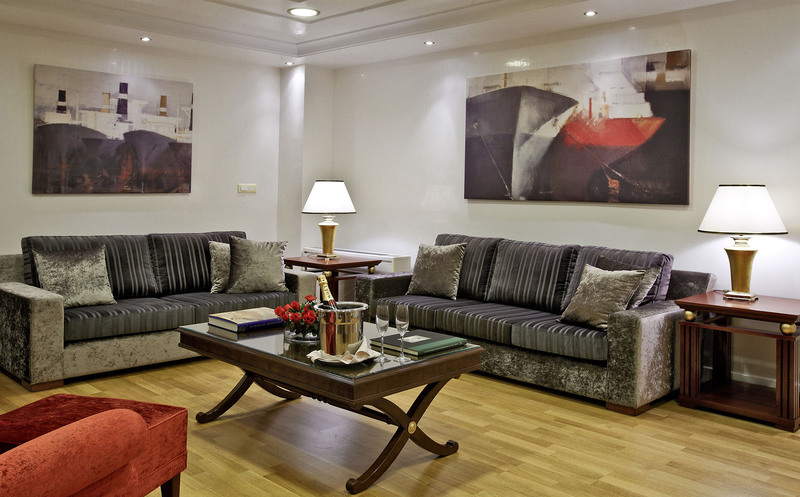 Completed in 2014, it offers individual design with a breath-taking view of Piraeus port from the 9th floor. 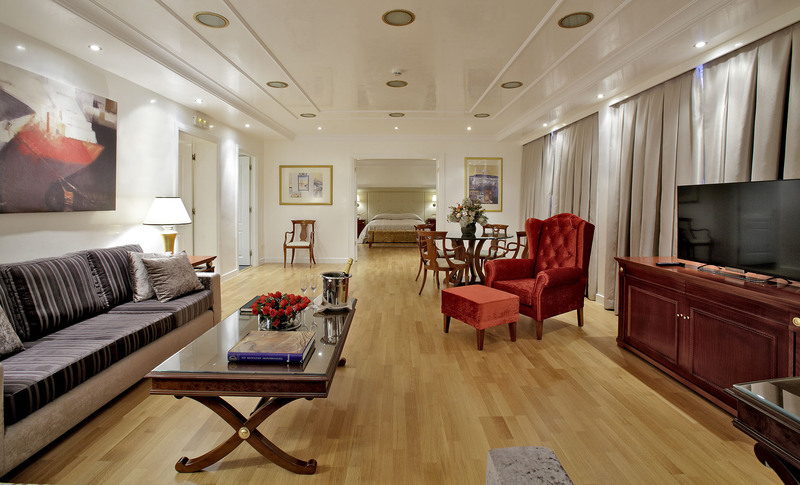 The Presidential Suite consists of 2 bedrooms, 3 bathrooms, a foyer, a large living room with sitting area, work desk and a dining table, as well as a large private veranda. 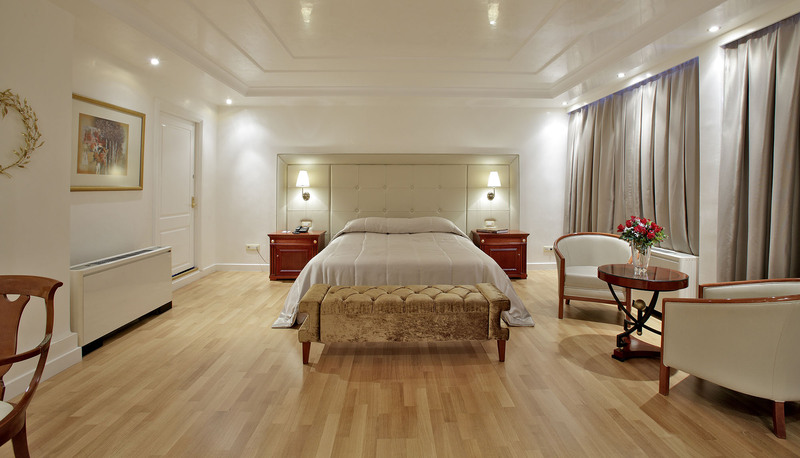 The design of the Presidential Suite combines classical luxury with elements of modern design featuring hardwood floors, stucco wall plaster finishing, Fendi label furniture, elegant silk fabrics and gold curtains unique to the Presidential Suite, as well as design bathrooms with Jacuzzi whirlpool bathtub for the master bathroom. 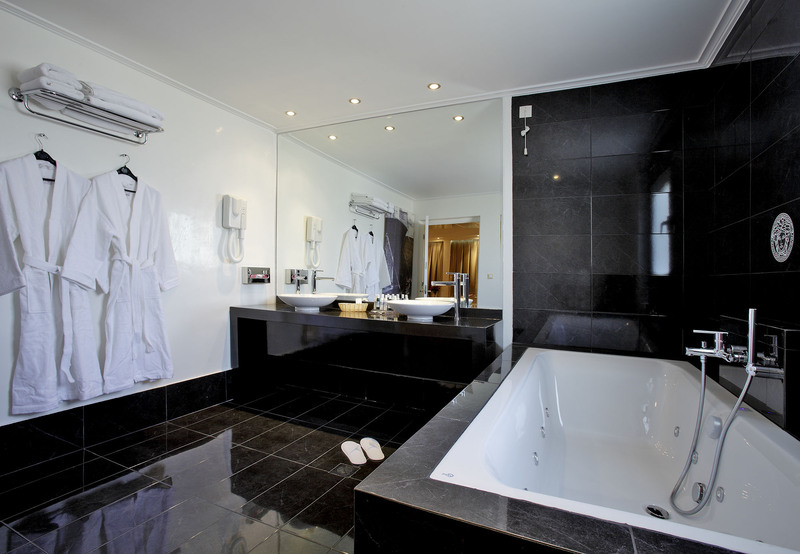 The deep soaking tub invigorates with multiple massage jets, adding to the feeling of unsurpassed comfort. 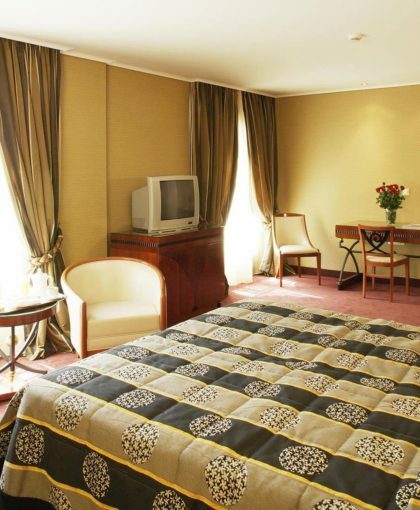 The Presidential Suites is equipped with state-of-the-art in room entertainment systems, such as 42-inch for living room and 32-inch for master bedroom High Definition Smart TVs with Internet and Youtube access, as well as movies and Mp3 playback, DVD player and Satellite channels. 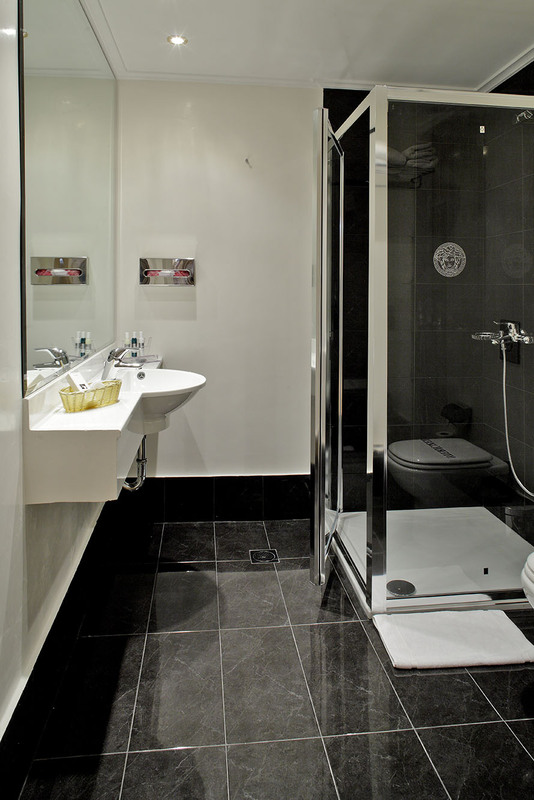 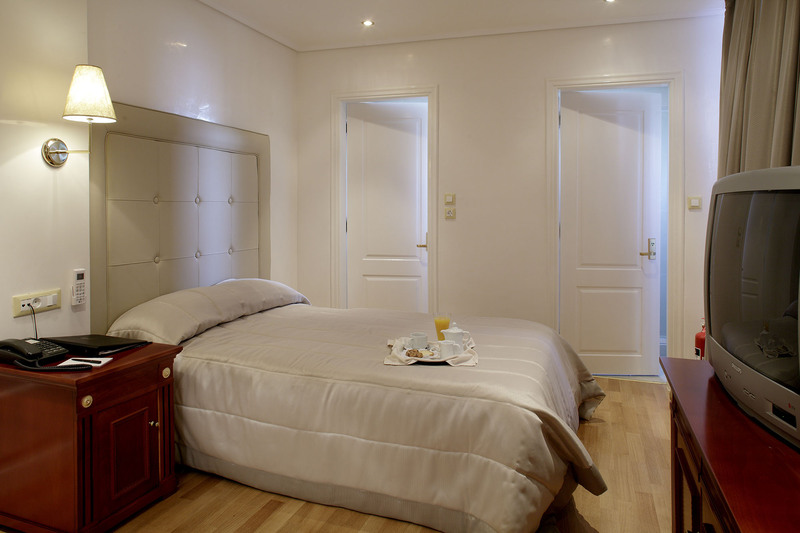 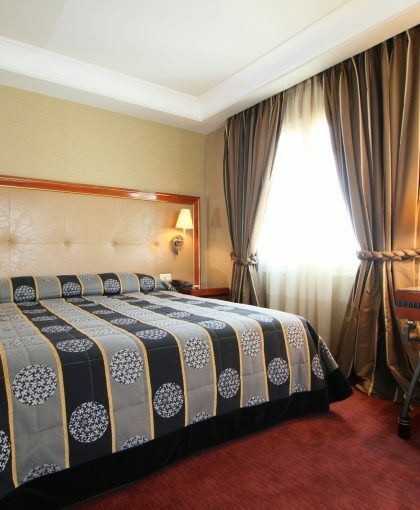 Furthermore, the Suite offers plush bathrobes, slippers, quality bath amenities, Wired and Wifi Internet free of charge. 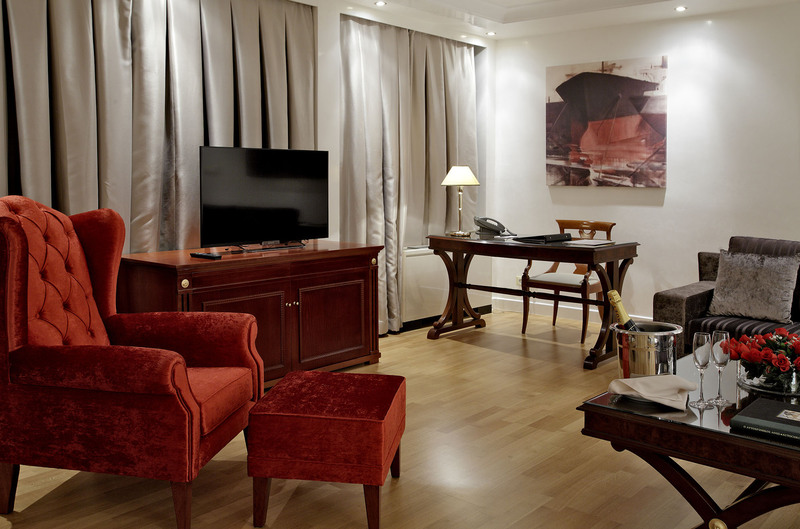 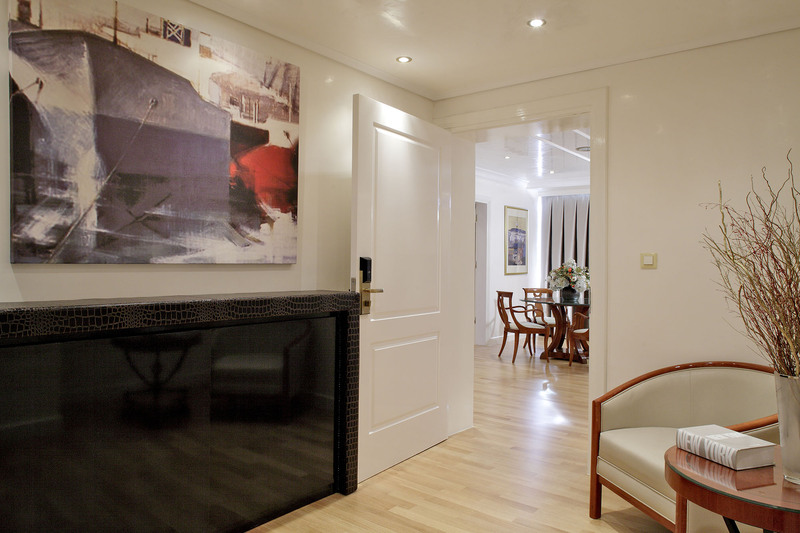 The spacious Presidential Suite is further enriched by an exceptional collection of paintings.